If your lender gives you an interest rate, you may be able to raise or lower this rate by buying mortgage points. The points are the lender's fee for making a loan. Some points lower interest rates but increase closing costs, while others raise interest rates but reduce closing costs. Mortgage borrowers can purchase discount points to lower the amount of interest that they will need to pay on their mortgage payments in the future. If you are considering the purchase of discount points in connection with the mortgage for a new home, the Boston real estate attorneys at Pulgini & Norton can advise you. Under Chapter 183C, section 2 of the Massachusetts General Laws, which covers predatory lending, ''bona fide loan discount points'' are loan discount points that a borrower knowingly pays for the explicit purpose of lowering the benchmark rate on a loan, and that do in fact reduce the interest rate or time-price differential that is applicable to the loan from an interest rate that is not more than the benchmark rate. 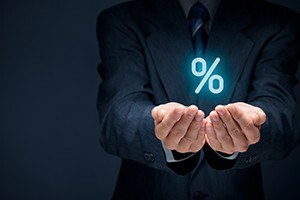 The benchmark rate is an interest rate that may be reduced by paying discount points and that does not exceed the weekly average yield of the U.S. Treasury securities that have a maturity of five years on the 15th day of the month immediately before the month in which the loan is made, plus four percentage points. In layman's terms, discount points are a kind of prepaid interest that typically costs 1% of the total loan amount. A point lowers the interest rate for the loan by one-eighth to one-quarter of a percent. They are tax deductible in the year that they are purchased. The purpose of buying a discount point is to reduce the interest rate on your mortgage. Discount points are purchased by paying an upfront fee at the closing for a lower interest rate. Since one point is equal to 1% of the total loan, one point on a $500,000 mortgage is $5,000. This single point will equal a reduction of 0.125%-0.25%. You may buy more than one point at the closing, and the number that you should buy depends on how long you intend to live in your new house. If you sell your house too soon, you may lose money by buying points. For example, if you bought two points at the closing, each worth $5,000, you would look at how many mortgage payments you would need to make in order to recover the $10,000 that you paid by buying points at the closing. You would want to move out only after you paid off that $10,000. Buying points on a short-term mortgage would save you only a small amount of money, so it may not make sense to purchase points in that case. Similarly, if the mortgage length is quite short, and the loan amount is small, it may not make sense to purchase points. You should be aware that discount points are different from origination fees, which are used by a lender to cover overhead loan costs. They are both paid at the closing. Lenders must follow certain rules to avoid engaging in predatory lending. It may help to have an attorney at your side to make sure that the terms of your home loan are appropriate. Our experienced Boston real estate lawyers can help determine whether it makes sense for you to buy discount points and counsel you on sound strategies for approaching your mortgage in general. We advise and represent buyers, sellers, associations, and lenders in many Massachusetts communities, such as Somerville, Hyde Park, and Braintree. Contact Pulgini & Norton at 781-843-2200 or through our online form for a free consultation with a mortgage attorney.